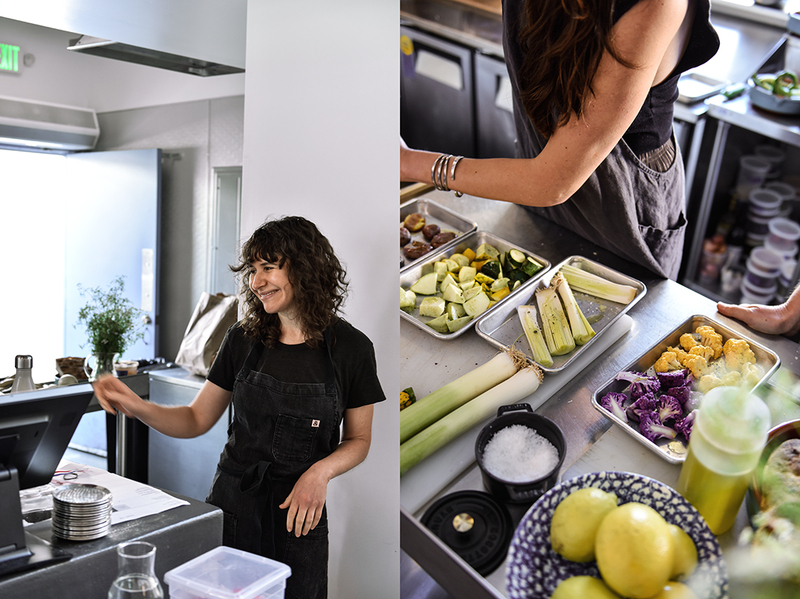 One of the kitchens that I visited on my trip to LA – the first stop of my new adventure together with Zwilling – was at Botanica, a stunningly beautiful restaurant founded by the wonderful Heather Sperling and Emily Fiffer. 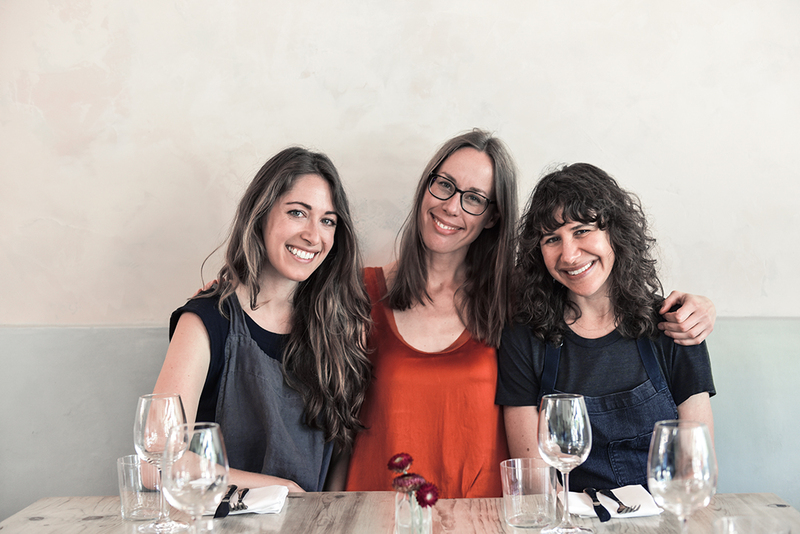 Both women had been working in the food industry as editors on the East coast for more than a decade, but they were hungry for more. They chose LA to bring a project to life, giving it all their love, passion, and honest determination. 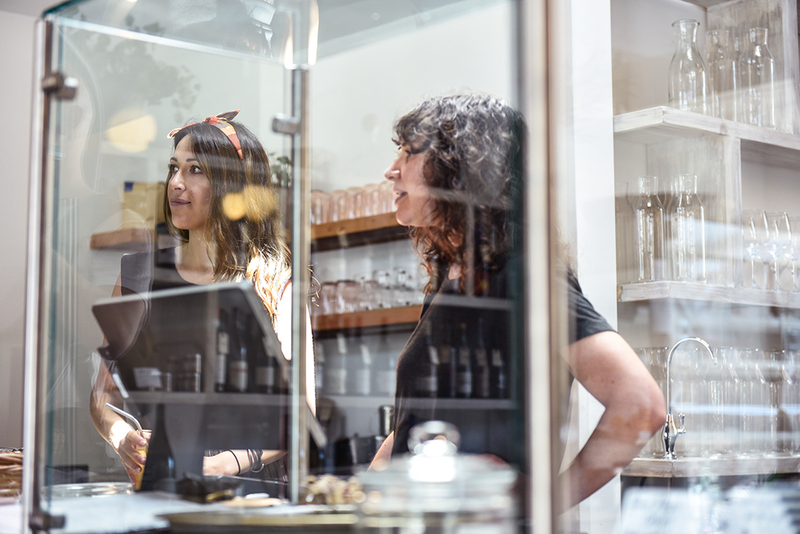 An old run-down liquor store in Silverlake looked less than promising when they first saw it, but Heather and Emily knew from the start that this would be the right place to give their vision a home. They gutted it and after a year of sweat and work you can’t even imagine how this gorgeous bright and airy space looked before the renovations. 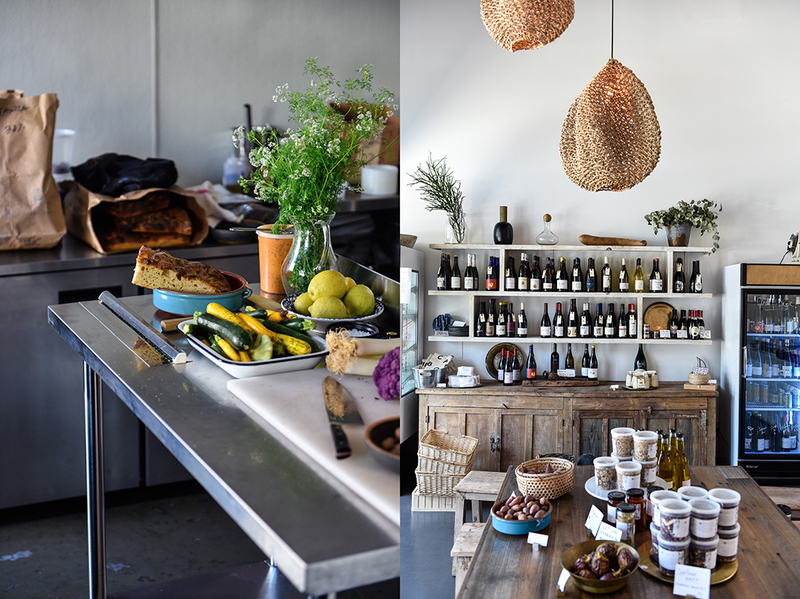 A tall wall touched up in a soft Tuscan pink holds the old wooden beams above the restaurant’s rustic wooden tables and the little market where you can buy the products and produce used in Botanica‘s kitchen. 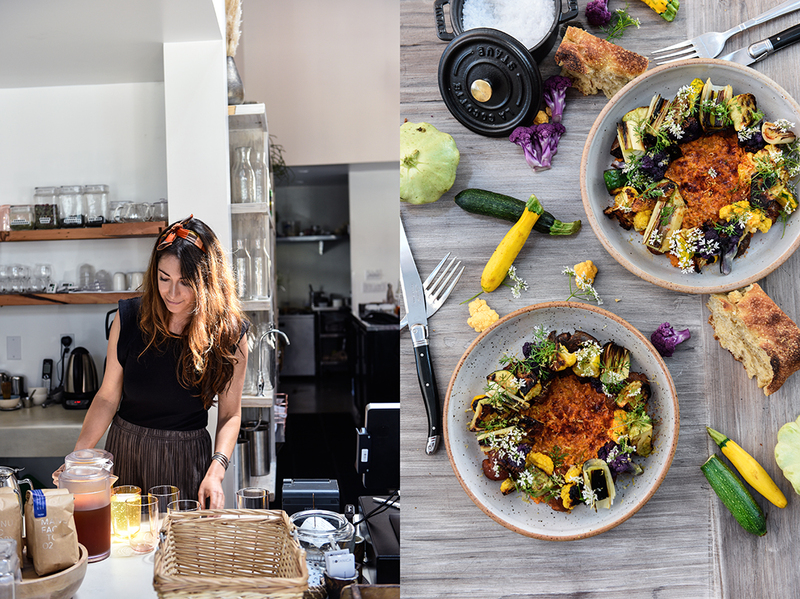 The two ladies also started an online magazine, a collection of the recipes used at their restaurant to complete their customers hungry needs: you can eat a dish at Botanica, fall in love with it so much that you want to cook it at home, buy the ingredients right away, grab the recipe from the magazine, and go straight to your own kitchen and cook it again. Sitting at this restaurant feels a bit like being in Heather and Emily’s home and this was an important aspect for them when they first started thinking about their restaurant baby. 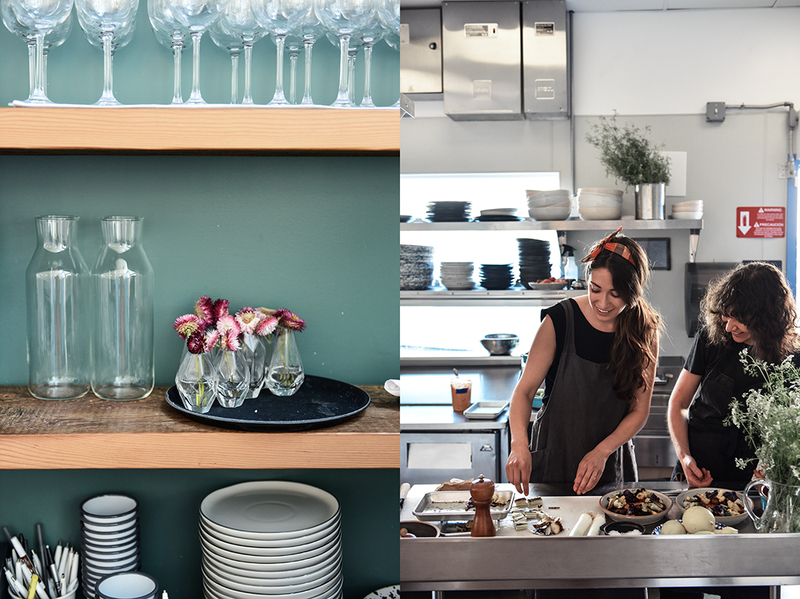 The design, the menu they put together, the way they work together with their employees, this all shows a philosophy of working and living together in a community. 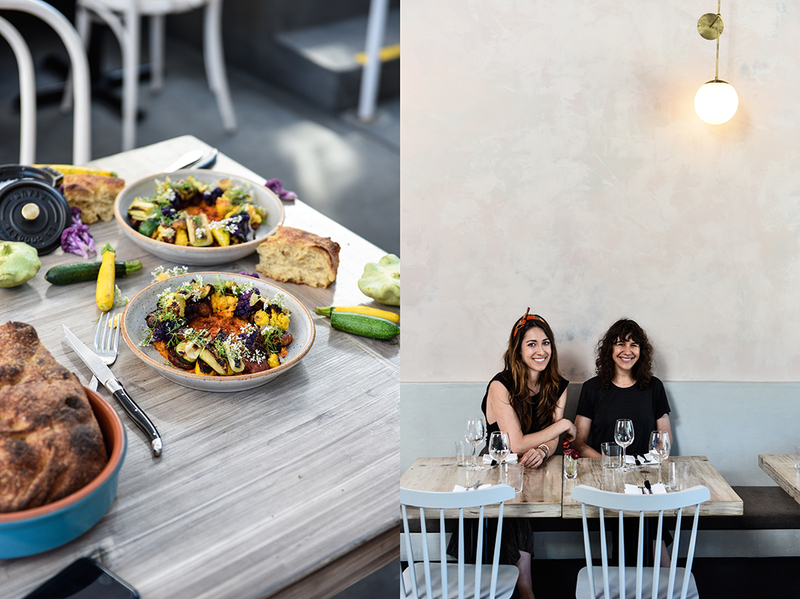 They have strong connections with the other restaurants in their neighborhood, many of which are also run by women, and together they put the spotlight back onto LA’s culinary scene (like “Kismet” that I wrote about last week and Jessica Koslow’s “Sqirl”, which will be featured here on the blog in 2 weeks). They not only share the same work ethics, but also their farmers and suppliers. And they all have one more thing in common, all these restaurants celebrate vegetables. 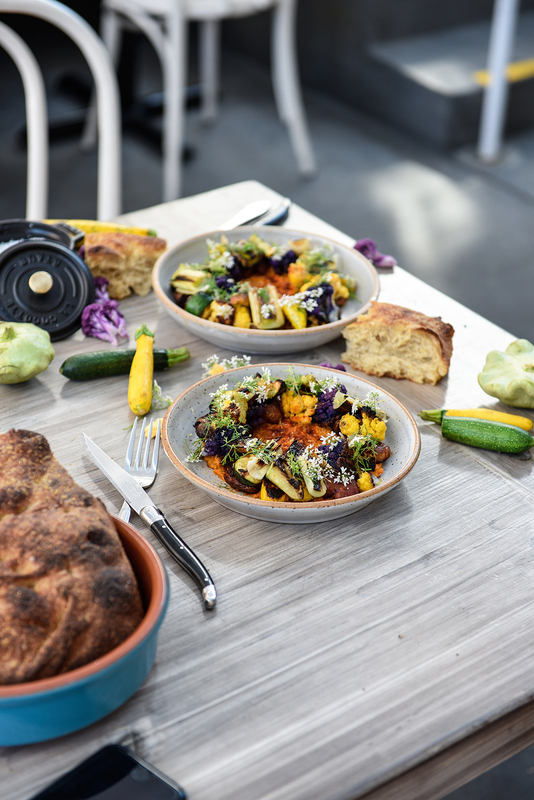 Heather and Emily manage to turn a potato, cauliflower, squash, or carrot into a vibrant feast. 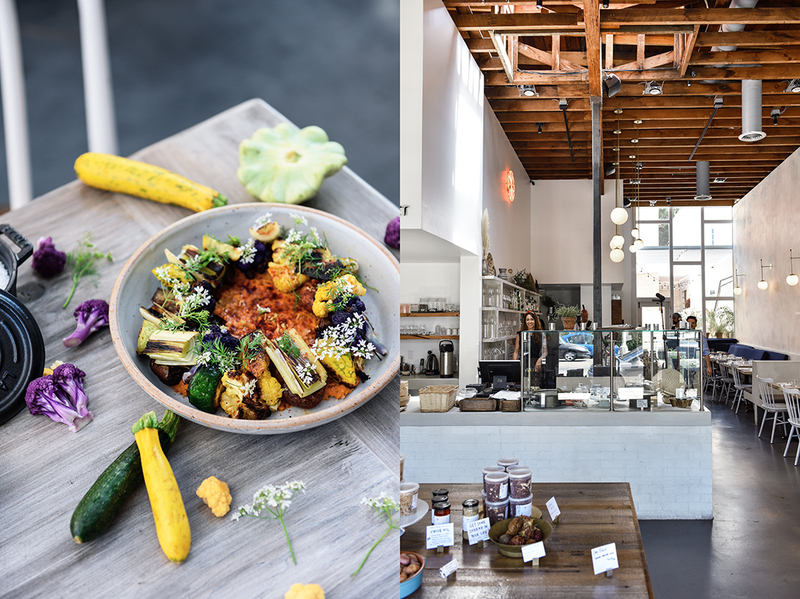 They shift the traditional focus from meat and seafood centric dishes to roots, cabbages, and legumes. Botanica is not a vegetarian restaurant, but ribs, steaks, or fillets aren’t the star of the meal anymore, they can be a part of a greater composition, add flavor, be a luxurious treat of outstanding quality, but they aren’t essential anymore. 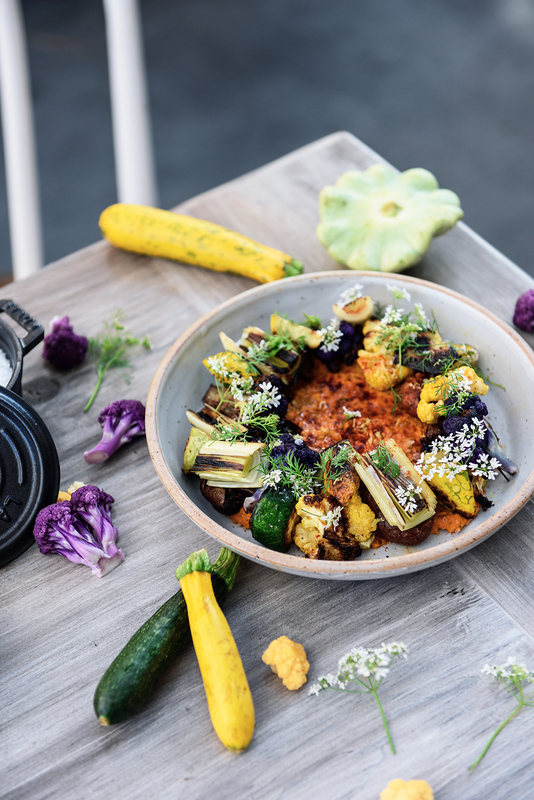 And the two women’s recipes are so fantastic that you won’t even miss it, you just indulge in a dish like their seared vegetables with romesco (recipe below), which is so rich, balanced, and exciting that you don’t ever think of anything but tasty vegetables. 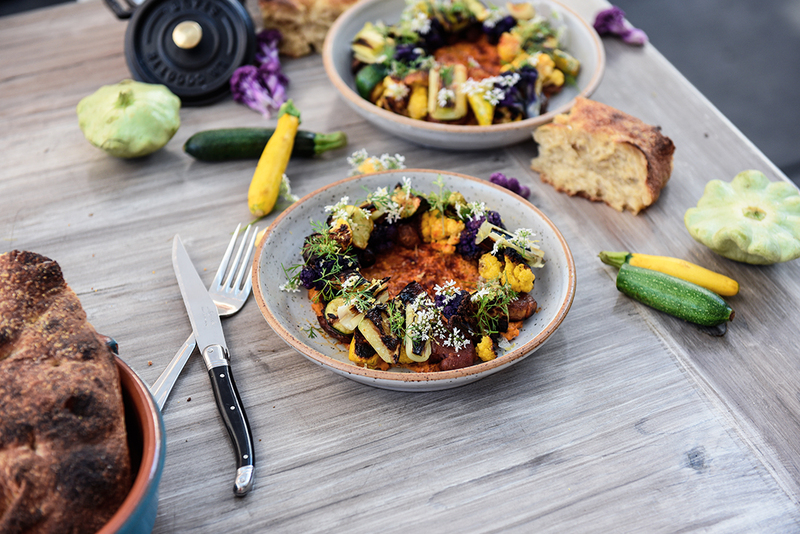 And apart from this more than satisfying pleasure for the taste buds, you can be sure that you just enjoyed food that is good for your body, locally sourced in a strong community that works with and not against nature and our environment. To make the romesco: Roast the bell peppers until blistered and fully soft. Transfer to a large bowl and let them cool for a few minutes. Remove and discard the seeds and stems, collect the thick juices that run off the peppers. Peel the skin and set aside. In a food processor, combine the roasted peppers and their skin, the jalapeño, garlic, olive oil, vinegar, lemon zest and juice, smoked paprika, almonds, cilantro, and a splash of the liquid from the peppers. Blend until fully incorporated, but not fully uniform; some texture is ideal here. Add more sherry vinegar, salt, olive oil, and cilantro to taste. For the vegetables: Lightly crush each potato with the side of a knife. Heat a splash of olive oil in a pan over medium heat and sauté the potatoes on one side until just starting to crisp, then flip and crisp up the other side. Remove from oil and season well with salt, pepper, and a sprinkle of smoked paprika. While the potatoes are crisping, prepare the remaining vegetables: Cut the vegetables into bite size pieces (except the leeks) and toss with olive oil, salt and pepper, then grill or sear until al dente, with nice char in spots. In a large pan, cook the leeks, cut-side down, until they get a touch of caramelized char, then flip and cook for a few minutes on the other side, until soft through. Cut in two-inch lengths, season, and set aside. Mound the romesco in the center of a large plate and arrange the potatoes, leeks and vegetables in a ring around the purée. Garnish with a good drizzle of olive oil, a squeeze of lemon juice, lemon zest, a sprinkle of salt, and the cilantro flowers and serve immediately. Thank you, Heather and Emily!